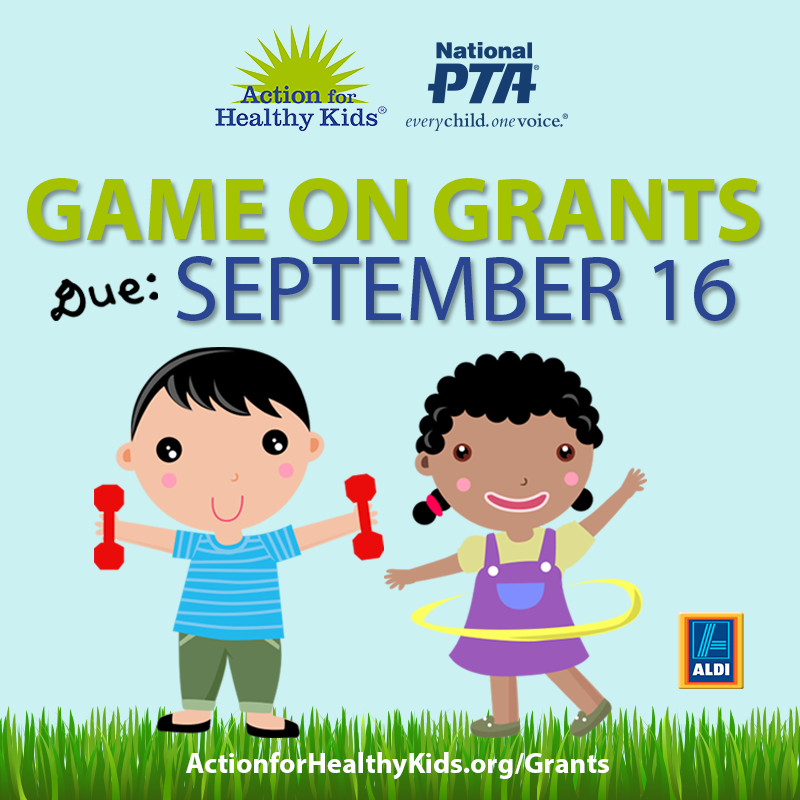 National PTA has partnered with Action for Healthy Kids (AFHK) on their Game On Grant, which is available to parent organizations in select states (yours is one of them). More information and the application can be found at: http://www.actionforhealthykids.org/tools-for-schools/apply-for-grants. National PTA is finalizing the contract and promotional information will be forthcoming. The deadline will be April 7th. I’m pleased to inform you that Action for Healthy Kids (AFHK), National PTA and ALDI have joined forces to support school-based efforts that help children develop healthy habits. Grants of $1,000 each will be awarded to support 2016-2017 school year wellness initiatives in California, Illinois, Kansas, Missouri and Texas (five grants awarded per state). Priority will be given to local PTA units, but all are welcome to apply. Here is sample social media to use to promote this opportunity to your local units. Here is the graphic for download. Adopt-a-Classroom allows public-school teachers to register in hopes of matching them with businesses or other organizations that offer financial contributions. Adoptees will receive $500 from their benefactors to use on classroom supplies and materials. For more information, visit Adopt-a-Classroom. There is no deadline. The AARL Foundation, supporting amateur radio across the country, wants to improve access to amateur radio programs for youth. Mini-grants of up to $1,000 will be given to such projects as securing equipment for club stations, purchasing training materials, supporting service projects that bring favorable public exposure, and similar activities. Preference will be given to projects for which matching funds are raised locally. For more information, visit the ARRL Foundation. There is no deadline. The American Institute of Aeronautics and Astronautics is offering grants to enhance science, technology and mathematics programs with materials and supplies. Grants of up to $200 are available four times a year, with schools being limited to $1,000 per year. Grants include sponsorship of teams for robotics competitions. For more information, visit AIAA Foundation Classroom Grant Program. Grants are made quarterly.